Buckhead mixed use project to break ground. After a few delays, Coro Realty Advisors, an Atlanta-based commercial real estate firm, plans to redevelop a large parcel on Piedmont Road in Buckhead. 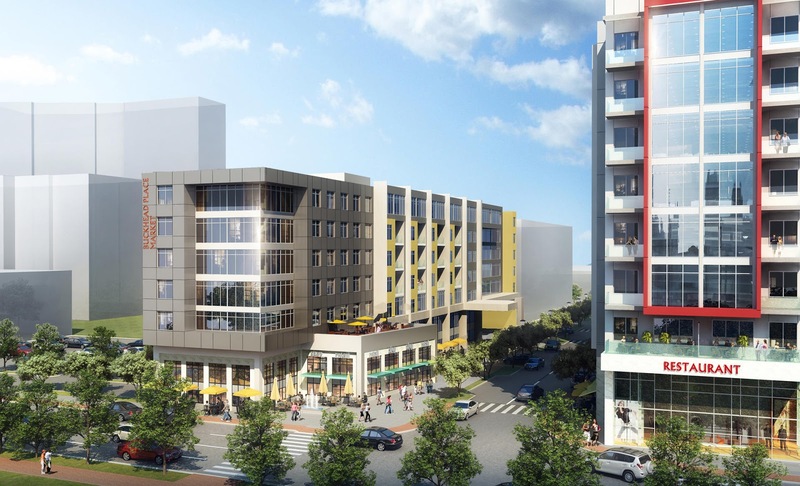 The project, which will consist of residential, retail, restaurant and hotel space, is slated to break ground in the second quarter of 2016, according to Patty Pearlberg, Partner/VP Asset Management at Coro. The Buckhead property in question previously housed Bertucci's, an Italian restaurant, and later Bridgetown Grill, a Caribbean restaurant, as well as surface parking. The restaurant building was demolished a few years ago as was an adjacent building. (The parcels include the 3312 and 3316 Piedmont Road addresses.) I wrote about the project last year, but signage later disappeared and only recently resurfaced as plans were finalized. Today known as Buckhead Place Market, the development is meant to be an extension of Coro's existing and adjacent development Buckhead Place. 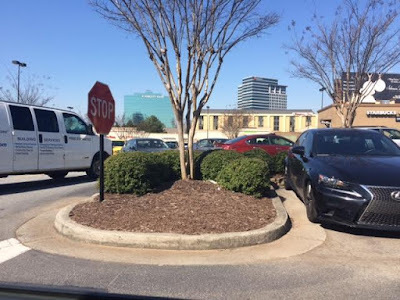 Buckhead Place, anchored by Marshalls, Pier 1 Imports and LA Fitness, is also home to Gordon Biersch and Salon Studios as well as 05 Buckhead luxury high-rise apartments and a Hyatt Place hotel. Neither project includes the Rooms To Go or Yamin's Oriental Rugs properties, as those are owned by others. 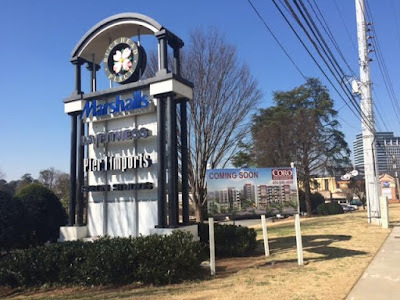 Although similarly named, this new center should not be confused with Buckhead Market Place (on West Paces Ferry Road and home to Whole Foods Market) or Lenox Marketplace (on Peachtree Road and home to Target, Publix and others.) Both of these centers are owned and managed by Columbia, South Carolina-based Edens. 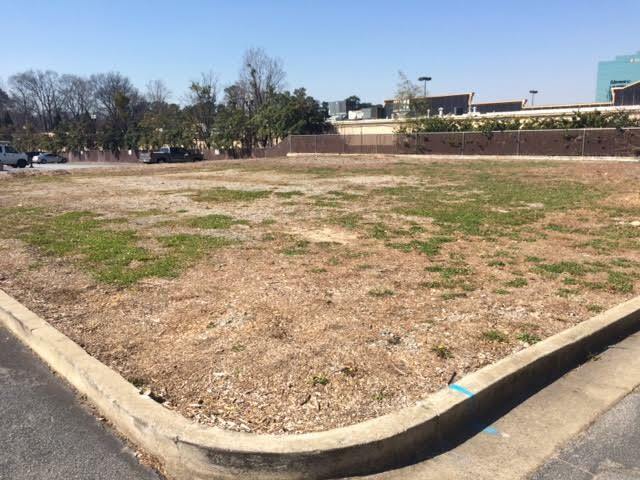 Buckhead Place Market will be built in phases with grading and clearing scheduled to begin in the second quarter of this year. Construction is expected to begin in the third or fourth quarter of this year. According to Pearlberg, the current development is "less dense" than originally proposed [in 2008] and will include roughly 170 residential units and 20-22,000 square feet of retail/restaurant space. 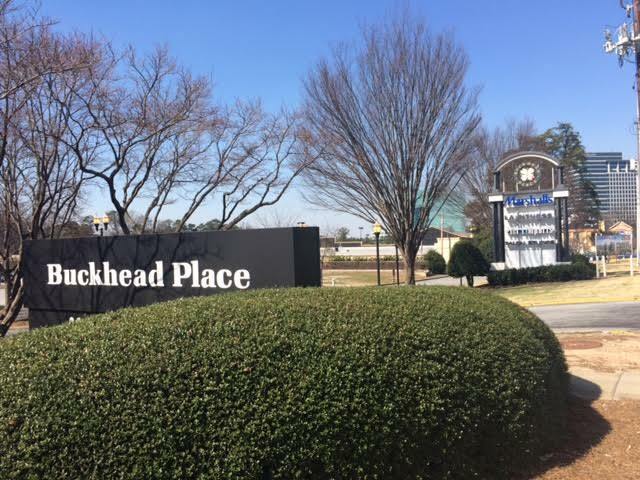 Pearlberg indicated that the leasing and management of the residential component will be handled by the same firm responsible for 05 Buckhead. The project will also include a 186 room, eight story Hampton Inn & Suites hotel. I contacted representatives of Hilton Worldwide Holdings, Inc., Hampton Inn Atlanta-Buckhead and Coro Realty, all of whom indicated the new hotel will be in additon to the existing and extremely closeby Hampton Inn Atlanta - Buckhead on Piedmont Road. The existing Buckhead hotel management reasoned that the new hotel will offer suites, whereas their property does not. 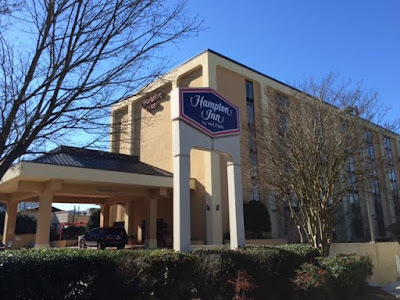 The current Hampton Inn hotel is six floors, 153 rooms. The new hotel is scheduled to welcome its first guests in early 2018. Plans also include adding 835 parking spaces to the current 908 for a total of 1,743 (between the two centers), according to the Coro website. A large number of these spaces will be built under the new buildings. As one who works not far from these centers and travels this stretch of Piedmont Road to and from work almost daily, I, too, worry that if the Equity One proposal is approved in a version anything like the current design, that traffic will get infinitely worse. At the end of the day, the city (of Atlanta) needs to wake up and make transit a priority.  What are your thoughts on either project? Does it make sense to have two Hampton flagged hotels in Buckhead? What transit options would you like to see implemented in Buckhead? I agree traffic in this specific area and the Buckhead area as a whole is getting terrible. There are two MARTA rail lines along with several bus routes already, but they don’t seem to be helping much. I’m not really sure what the answer is maybe more local shuttle routes that service a smaller area. I’ve often wondered why the City of Atlanta didn’t build the Street Car line along Peachtree from say Phipps to the Buckhead Atlanta shopping area. Yes, construction would have been a nightmare, but at least it would have taken people somewhere they already wanted to go. Of course I think Lenox still has those bicycle rickshaw things. 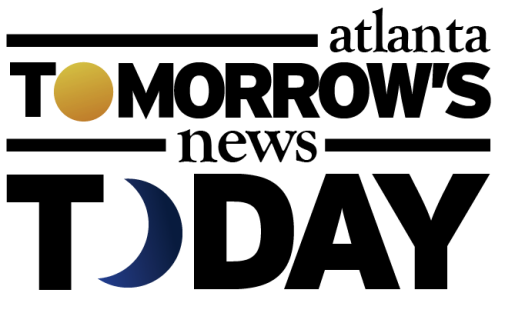 I'd rather see the Equity One project happen than the Coro project. Where will they put temporary parking when they grade out what is currently there? That parking lot is always at capacity in peak hours for LA Fitness. I work in this area also. I never go out at lunch anymore because dealing with the traffic is too stressful. Then forget about trying to leave the office park at 5:00. Can't get out. The Atlanta Streetcar is not about easing traffic, which is why it is not being considered for areas with chronic traffic congestion. The Streetcar is born of over-reaching federal government spreading tax dollars to reward cities whose populace votes to benefit the current administration. Y'all can pine for and cry about the loss of your beloved surface parking all you want. It will fall on deaf ears. Buckhead is only going to continue to add density. If you want suburban, go to the suburbs. If you don't want traffic, take alternate forms of transportation which, unlike in other areas of the city, DO exist in Buckhead. I don't buy 2 Hampton Inn's for a second. The franchise agreement with the existing property must be up soon or have rights to convert it to another Hilton brand flag although not sure what that would be since the other low end flags have suites. Maybe the new one will end up a Hilton Garden Inn. Crying about traffic? HAHAHAHAHAHA Try using your two legs and actually walk somewhere for lunch. Amazing idea. People actually walk in cities don't drive their car everywhere. This isn't Forsyth County. Agree in part to the comment about walking for lunch. If you can spare the 15-30 minutes walking somewhere by all means do it. I used to work at the Fountains and could walk to Farm Burger and back with meal eaten in 45 minutes if timed correctly. What if you have limited time however? Or don't want to be a complete sweaty mess afterwards? Or If you're out to a lunch meeting? The traffic is a huge issue on only getting worse. Amazes me that the city allows developers to build for profit and not zone with infrastructure in mind. If the plan is to have everyone park 2 miles away and walk/bike/tram/etc into Buckhead, great. But who actually believes that's what is going to happen? As always, hoping for the best! The city did put Peachtree Avenue on the streetcar plan, but Buckhead residents force them to take it off. Transit is a priority for the city of Atlanta, but it doesn't seem to be one among Buckhead's leaders. Please. If transit was a priority, then MARTA would be the main vehicle for that. Other major cities like Chicago, New York, and Washington DC have networks where you don't have to rent a car to get around. Atlanta makes it mandatory for you to get one. The whole Northwest Corridor project is born out of sheer stupidity. What makes sense is placing trains in the middle of the roadway and on those new bridges, and make stations at each exit if they wanted to do that. They could even have an AM and PM express service every so often so that it skips many of the stations between 575 and 285. But it makes too much sense for it to happen, because too many OLD people are either in love with their cars, or have an irrational fear of "unwanteds" appearing in their neighborhood, stealing big screen TVs and -- get this -- taking them on the train back to their neighborhoods. Mass transit builds great cities. Atlanta will eventually lose its luster and beg people to come and visit. Just watch. All because of poor transit decisions.